Ed’s Note: Our overworked brains ditched us. Sorry for the goof up, we have added the plans and edited the story accordingly. We Say: Though the plans might be somewhat in line with that of MTNL, monthly charges as well as variable data usage charges are comparatively lower. However the operator is offering you the best speeds available in the country – 3G speeds. Our Pick: If you can shell out a thousand bucks, the unlimited plan is the one for you. It will make sure that your Blackberry is used optimally. We Say: Kindly note that these plans offer 2G (EDGE) speeds. If you’re an email and a messenger junkie, Prosumer Lite is the thing to go for or else the full fledged Prosumer plan will keep you busy with access to social networking sites, stocks et al. We Say: 2G speeds again. Again, the decision is pretty simple to make. More Email = Plan 1 or if you’ve got a decent surfing go for the unlimited one. The plan sitting in the middle actually does not make sense. Even though they have tried to give some relief to moderate surfers 500KB and a 50p charge after that is like…forget it! We Say:Loop has just got it right. If you’re looking to surf as well as do email on your Blackberry, I think they offer at very competitive prices. We Say: Take it or leave it seems to be the motto of Idea. They offer single plan with no barrier and I guess they win in terms of rent when it comes to unlimited usage. Firstly, we feel that none of the plans, except the unlimited plans, offer great value for money, especially the data charges for all plans and the strange funda of half an Mb of free usage. If you need speed with your Blackberry service i.e. 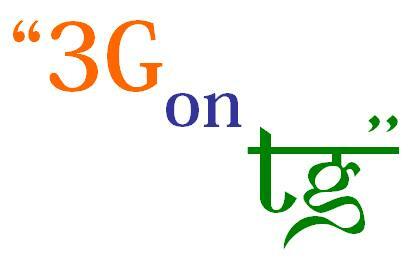 a 3G service to power your Blackberry, you have two options BSNL and MTNL. With the latter – MTNL being priced too high, we would recommend going for BSNL’s unlimited plan. If 2G is fine with you, we would definitely go for Vodafone or Airtel’s smart plans – Rs.299 unlimited, which will offer you the basic benefits at an affordable price. After all, Blackberry is all about emailing. Good to see Vodafone providing atleast one kind of unlimited data service after so many yrs of super costly usage based plans!!!! In this post they show just Email Plans of Vodfone and Airtle,and did not write that the what is unlimited in that? the other plan that is real unlimited data plans are hide!! My some comments are moderated why?? I’m fan of telegyaan but when i see this bias reporting that is almost one side in fever of some operator and in against of some then feel that the aim of real reporting in the interest of is none!! @azad: thanks for pointing this out. We have fixed it.